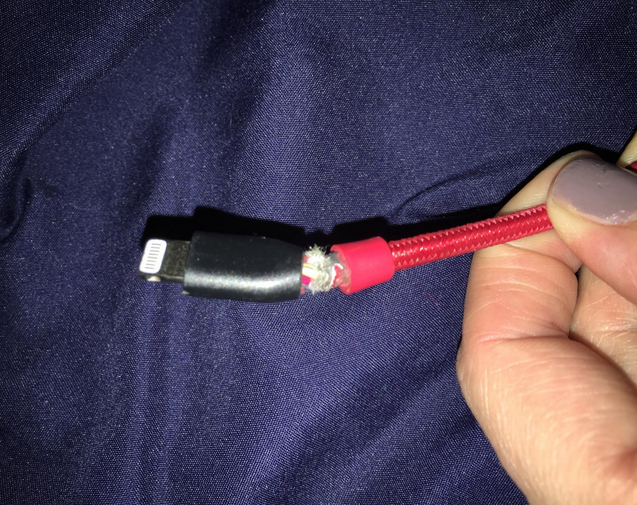 Many people are fed up with low quality USB cables which may break after weeks but have no choice to keep investing more money to waste on them. Today I want to share with you some ideas on how to get a good cable easily. First of all, the cables should support fast charging and data transfer. For example, both Lightning to USB and Micro USB cables should support a max of 2.4A charging and 480Mbps data transfer. 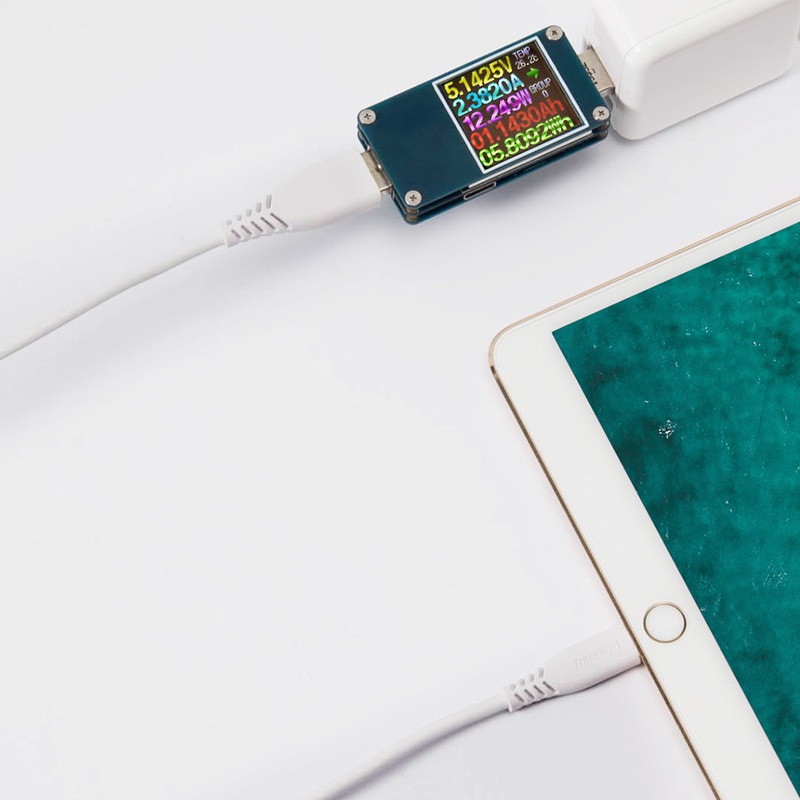 Here we have tested Tronsmart’s new MFi Lightning to USB cable in the lengths of 1.2M and 3M with a power meter tester and an iPad Air. The test result shows two cables reach nearly an output of 2.4A. 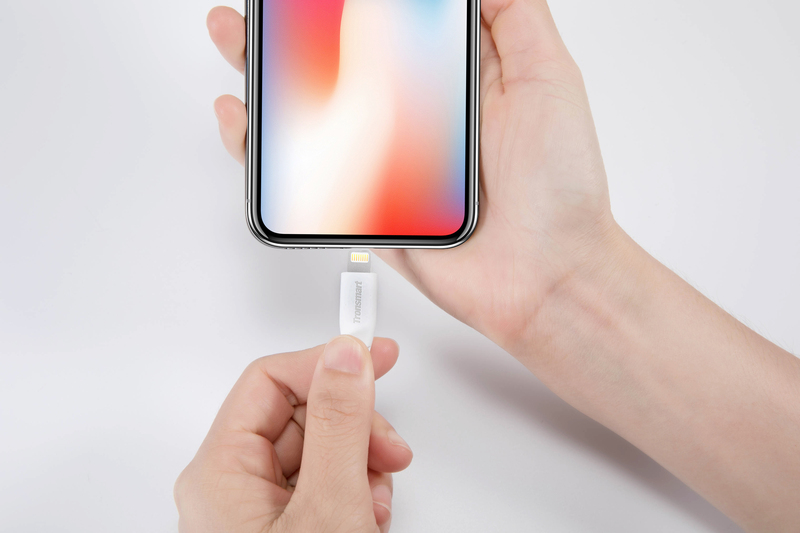 The USB charging cable works just like a water pipe connecting your power charger and your electronic device. A smaller cheaper pipe will always take longer to fill your bucket with water than a larger quality pipe. Quality cables are also important as they protect your devices from damage unlike cheaper cables. 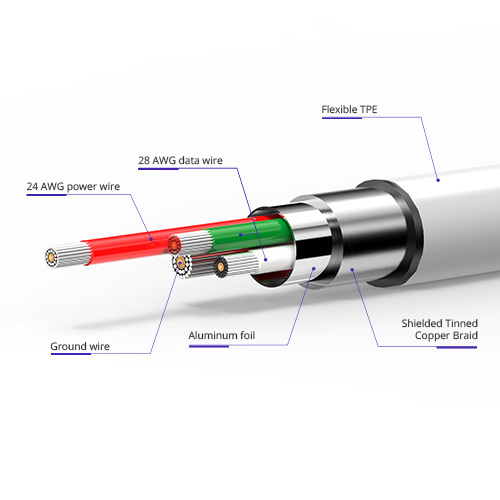 What makes a quality cable? 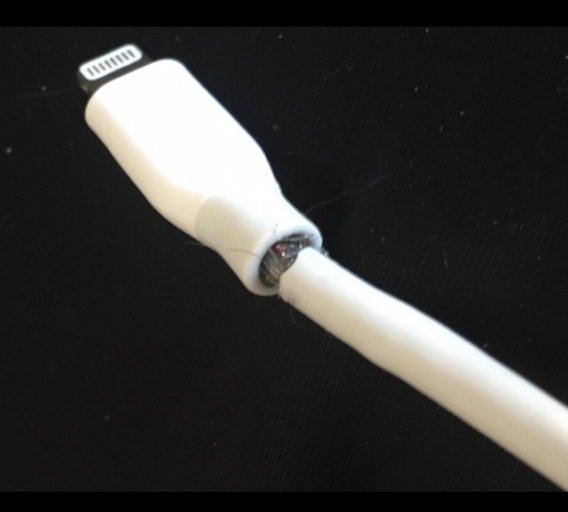 The quality cable should be built with premium material. For USB cables there are data wires and power wires. 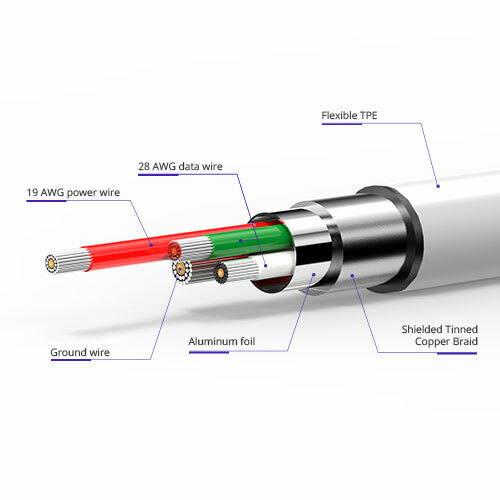 The larger cable section (refer to AWG datasheet) means more capability to carry power or data. 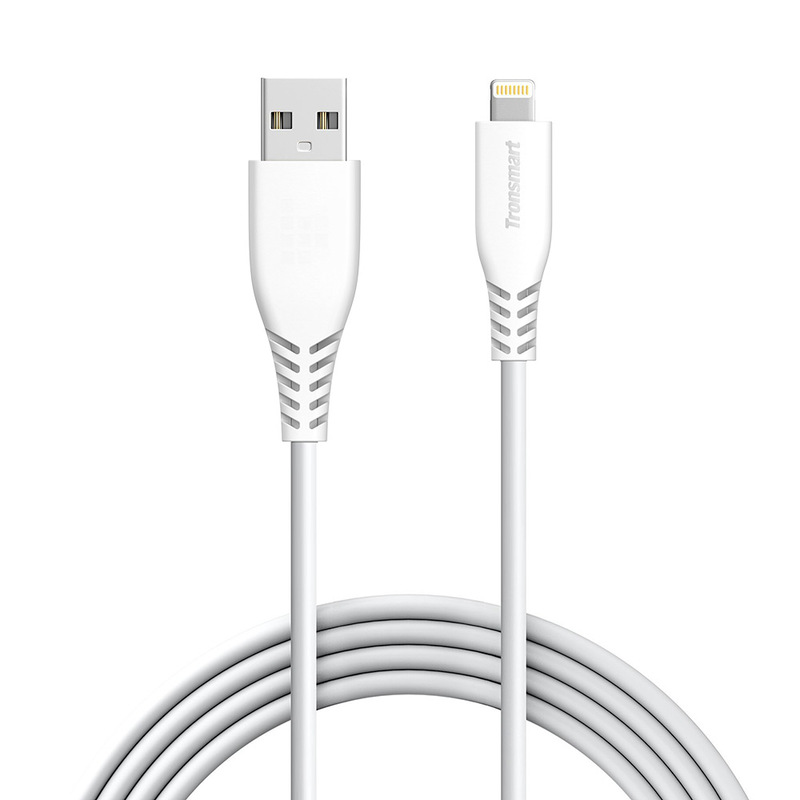 Tronsmart’s new MFi Lightning to USB cables are made with very solid material, 1.2M version with 24 AWG power wire and 28 AWG data wire and 3M version with 19 AWG power and 28 AWG data. 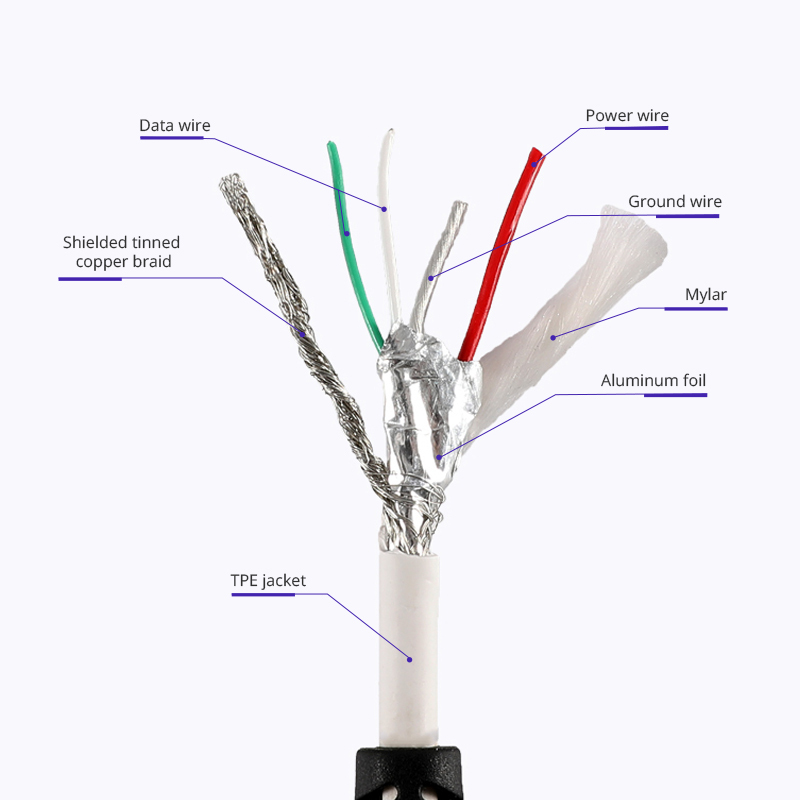 To ensure the full 480Mbps data transfer, we add tinned-copper shielded braid and aluminum foil to block outer interference. To explain it more clearly, we will examine cables to see their construction. 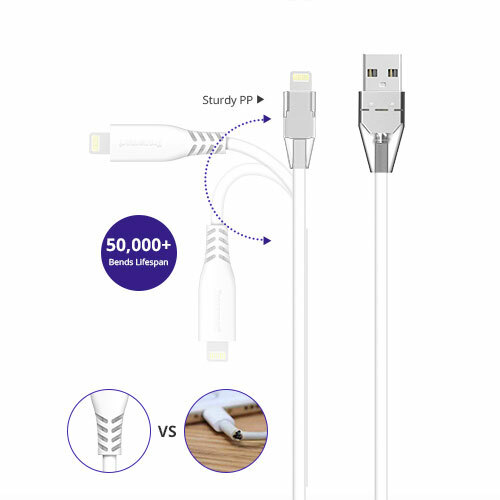 Tronsmart’s new MFi Lightning to USB cables are well built with a new V-shaped SR design with a superb grip that can withstand 50,000 bends making it 50 times stronger than other ordinary cables available on the market. By now I think you know how to choose a good cable. Just go for your choice, but don’t forget that a Tronsmart cable would be a better buy!